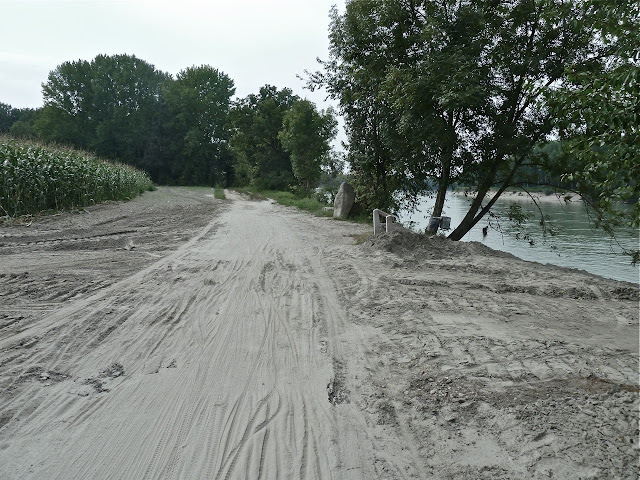 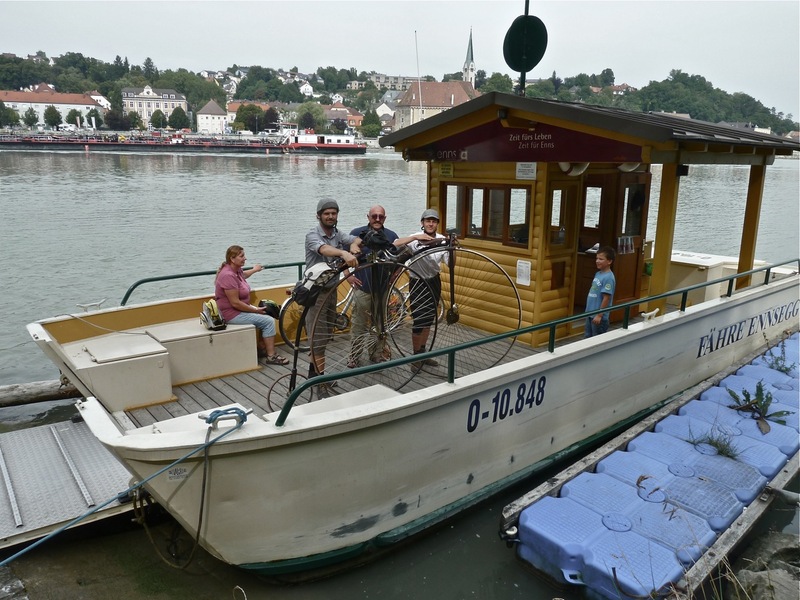 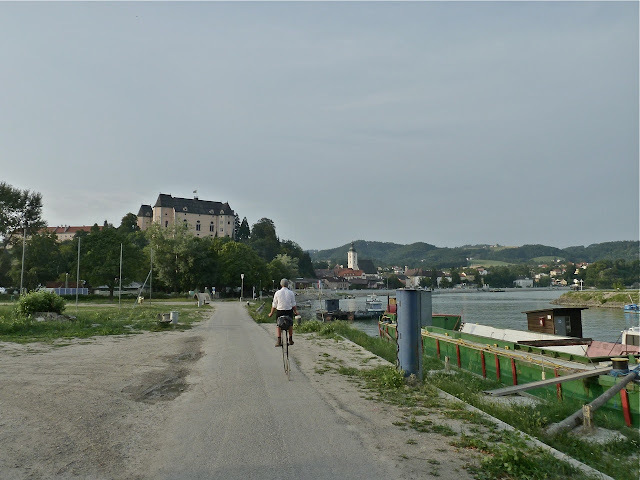 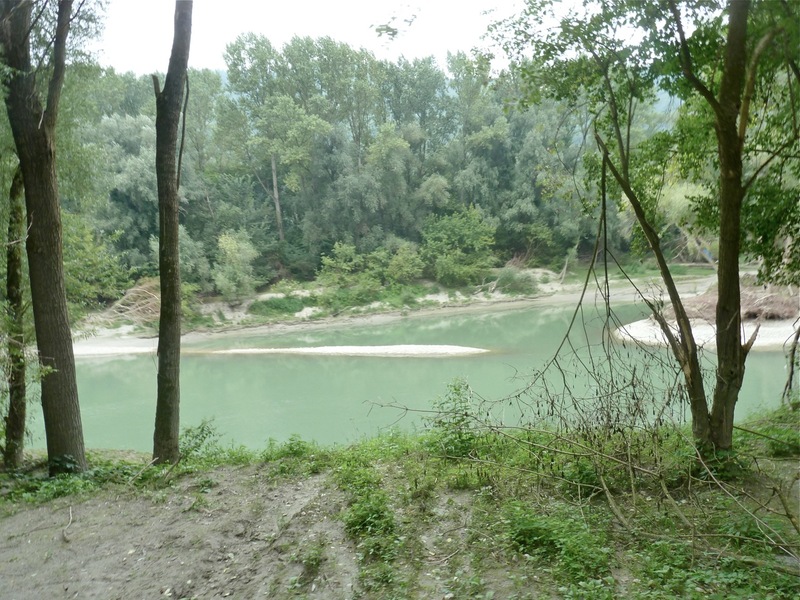 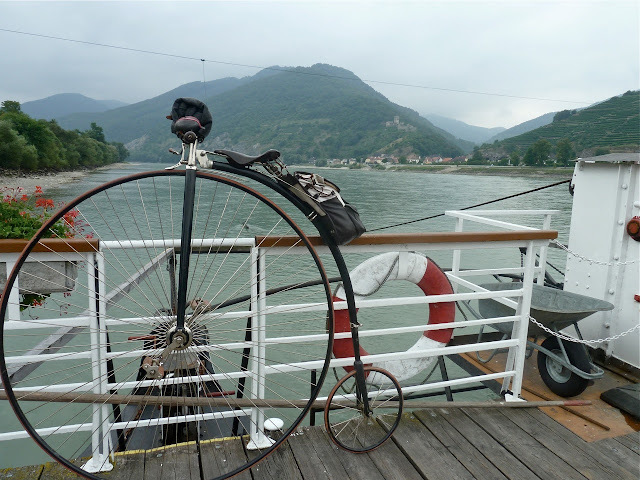 After the first 10 kilometers we crossed the river danube using a bicycle ferry. 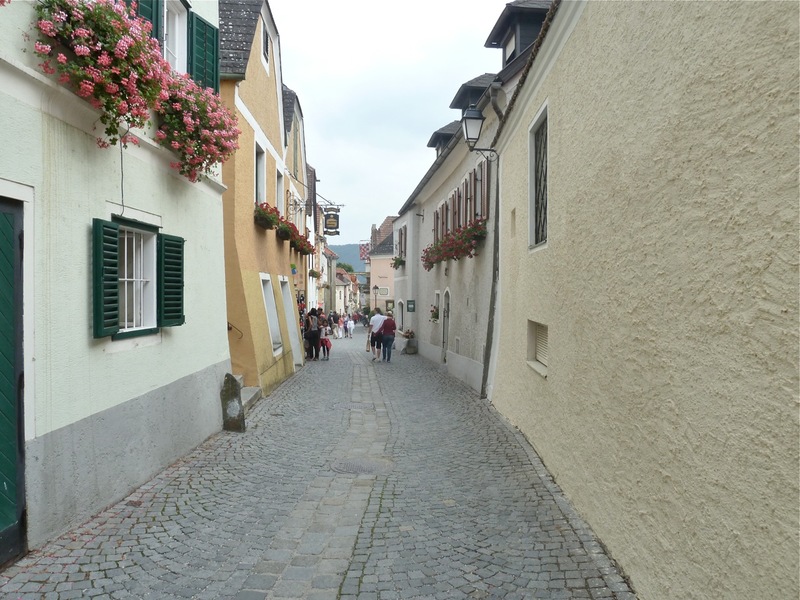 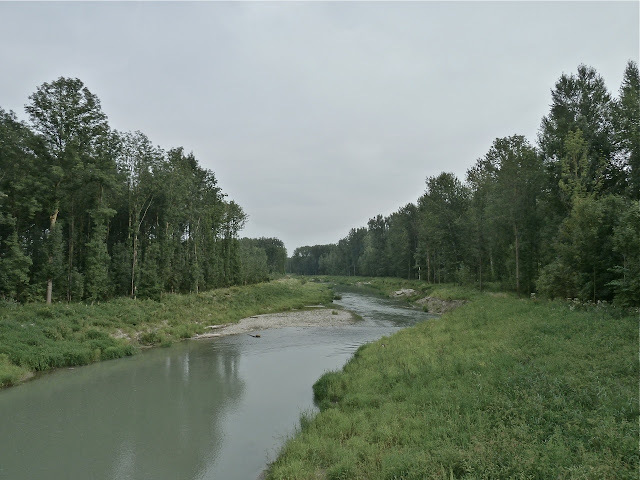 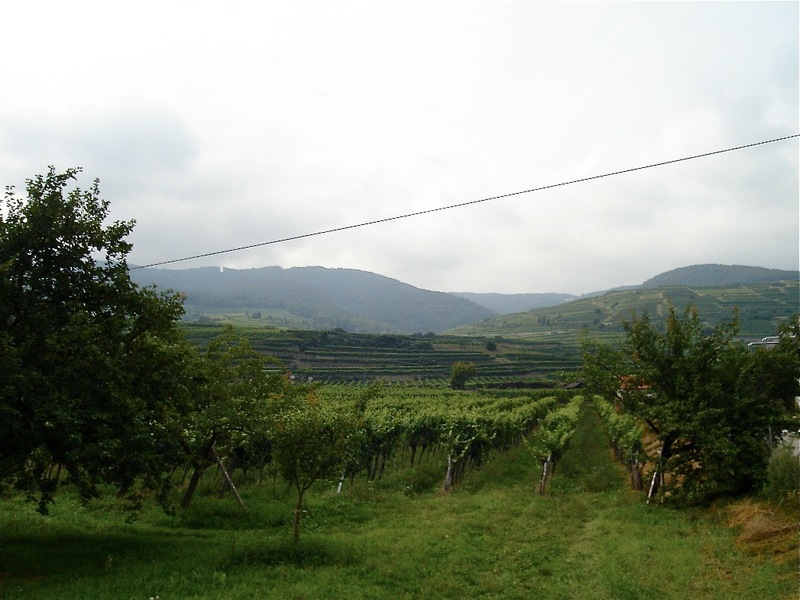 From Mauthausen we headed to Naarn, got something to eat at Geralds grandmother and went on to Grein. 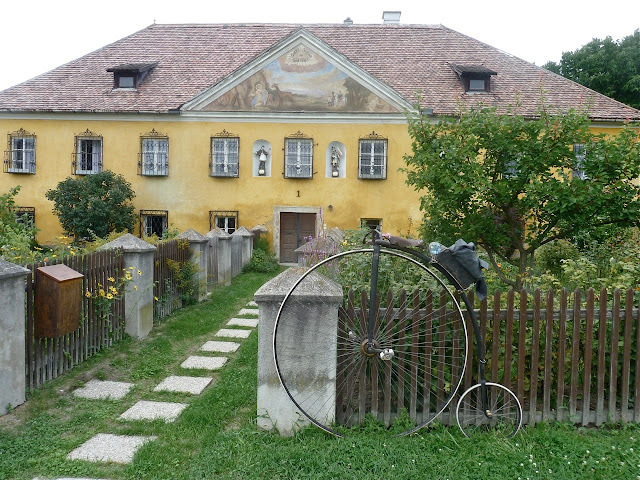 There we arrived at 7.00 in the evening, after 45 kilometers riding. 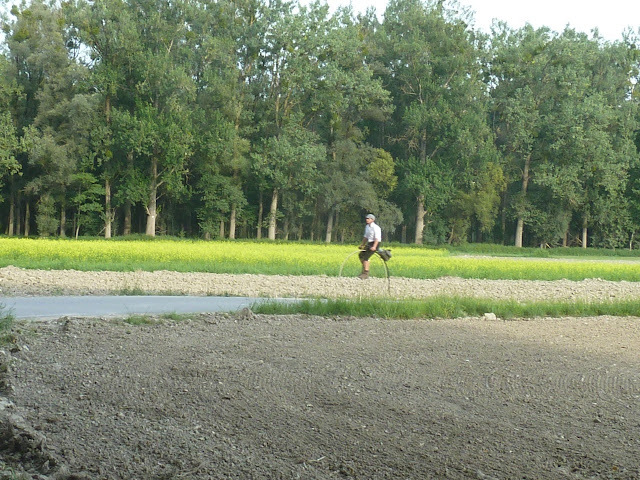 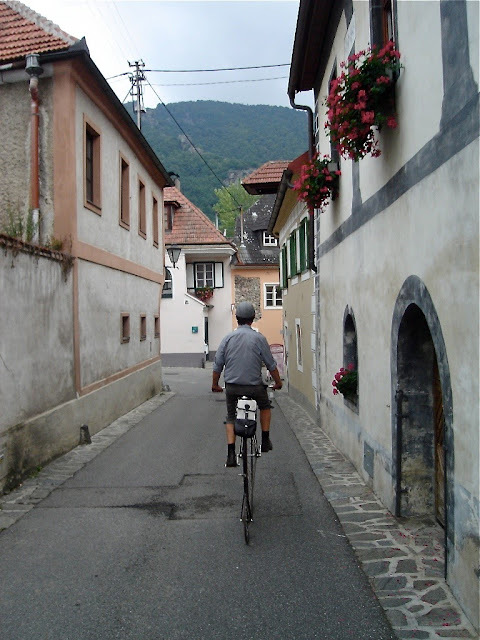 The weather still was fine, Gerald was full of energy - i was getting a little bit tired :) - we decided to go on to Ybbs. 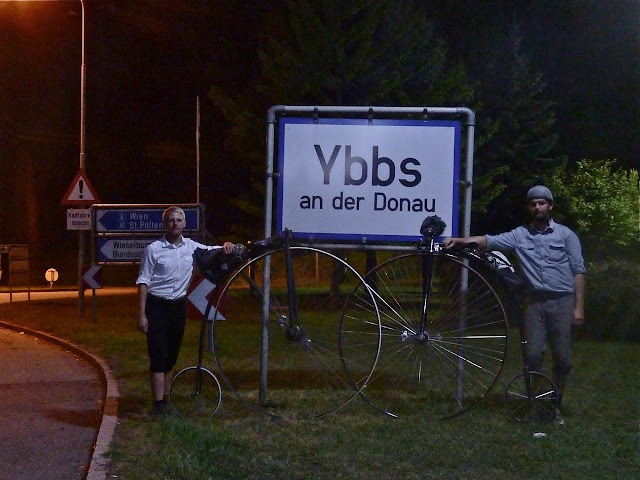 Without lights on our bicycles we had to hurry a little bit... but the roads were good, less other bikers or cars (a few times you have to use the same roads as cars) and we arrived at Ybbs at 8.30 - in the dark. 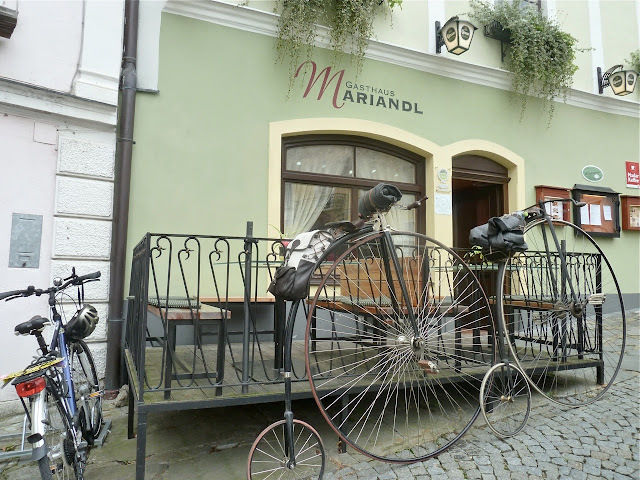 We had lunch at "Mariandl", where a typical austrian 60ties movie was filmed and went on to reach Krems, our final destination. 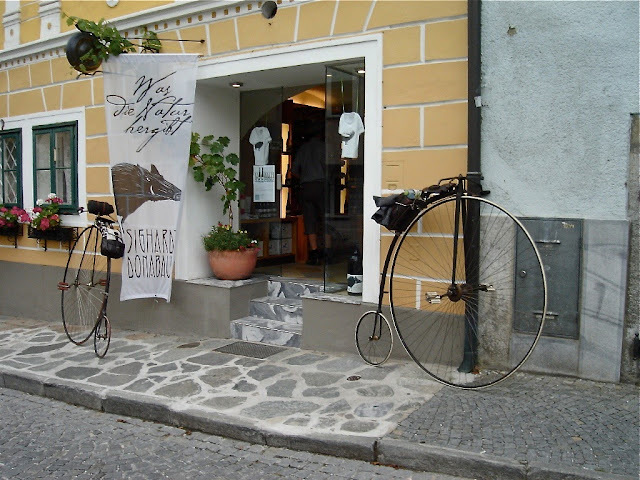 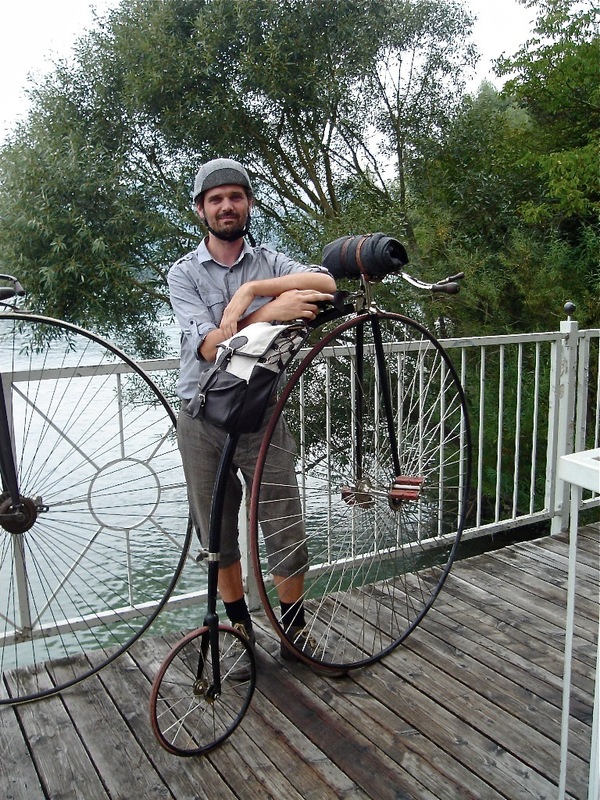 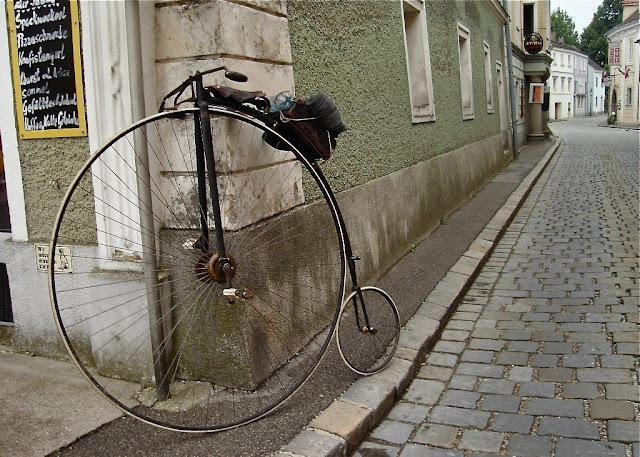 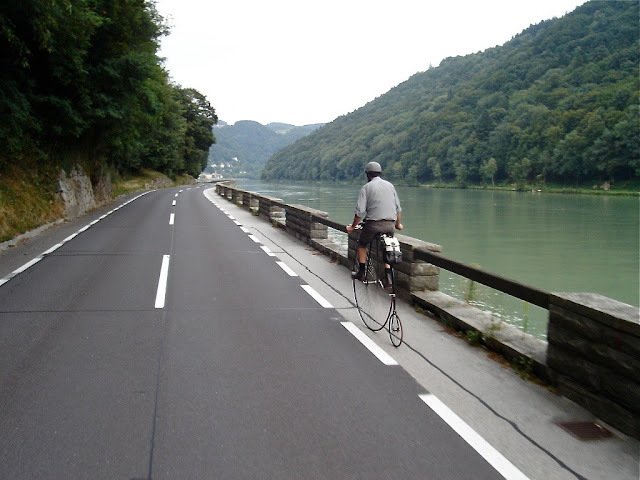 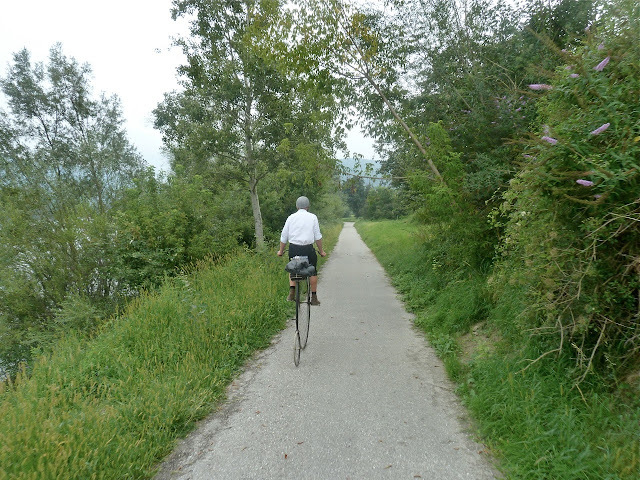 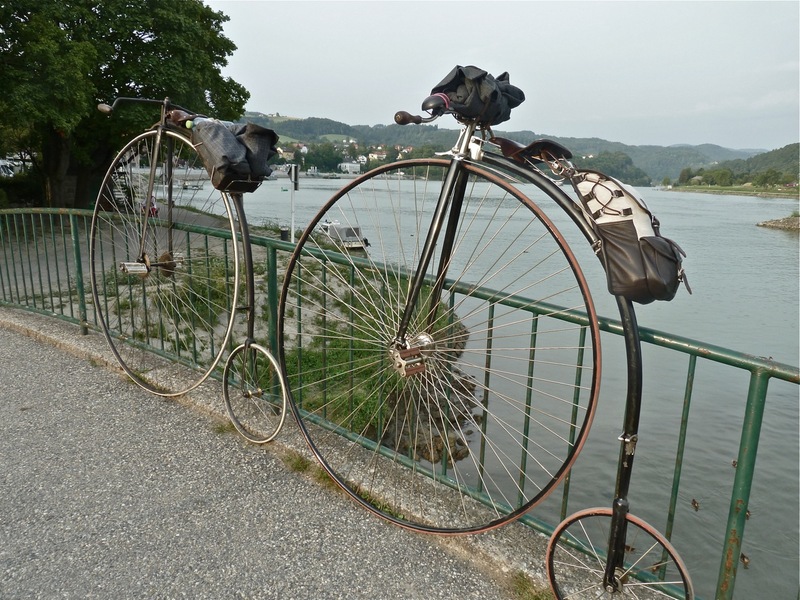 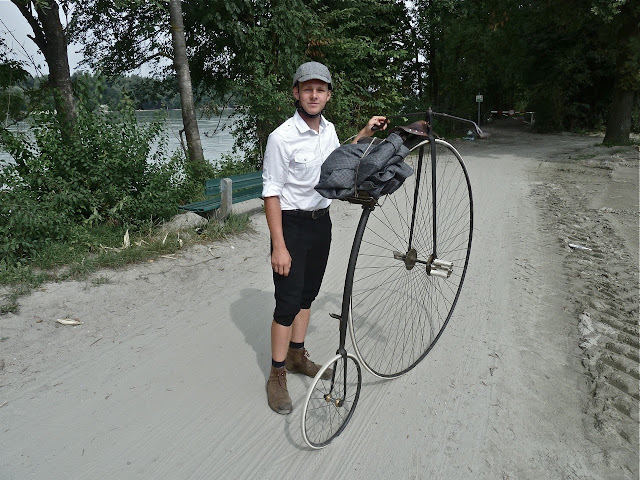 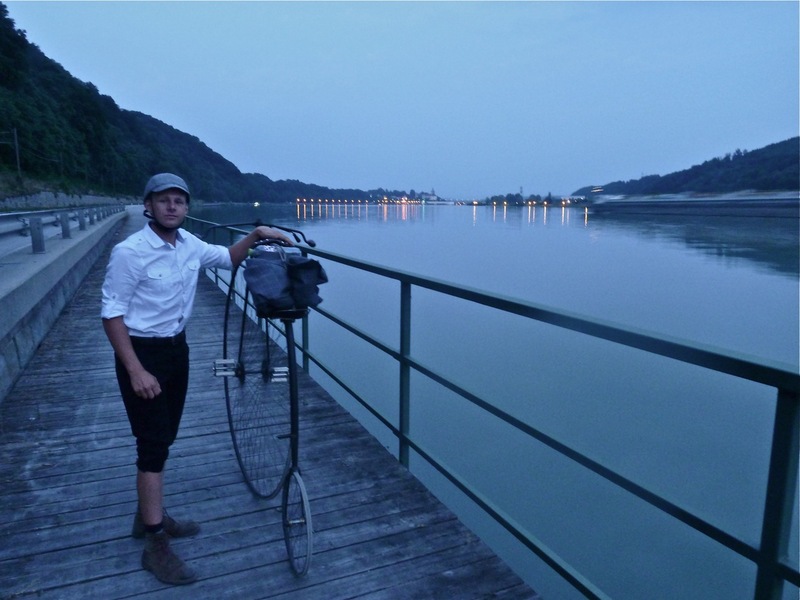 The roads were still very good to ride for pennyfarthings, mostly asphalt. 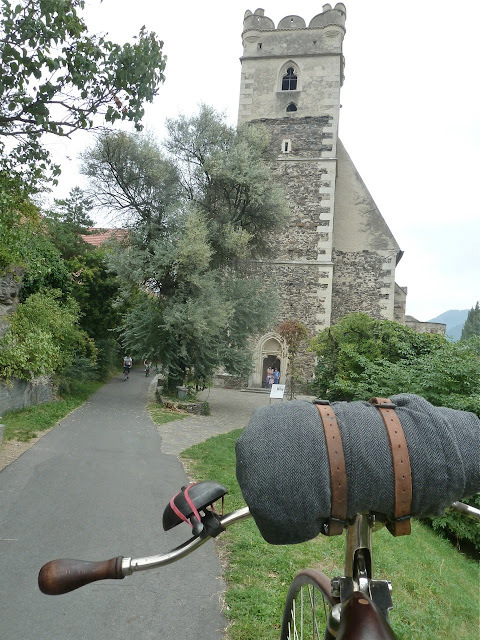 We crossed some very nice villages and met a lot of people, especially other bikers - and suddenly got stuck in a large group of bicyclists in Dürnstein. 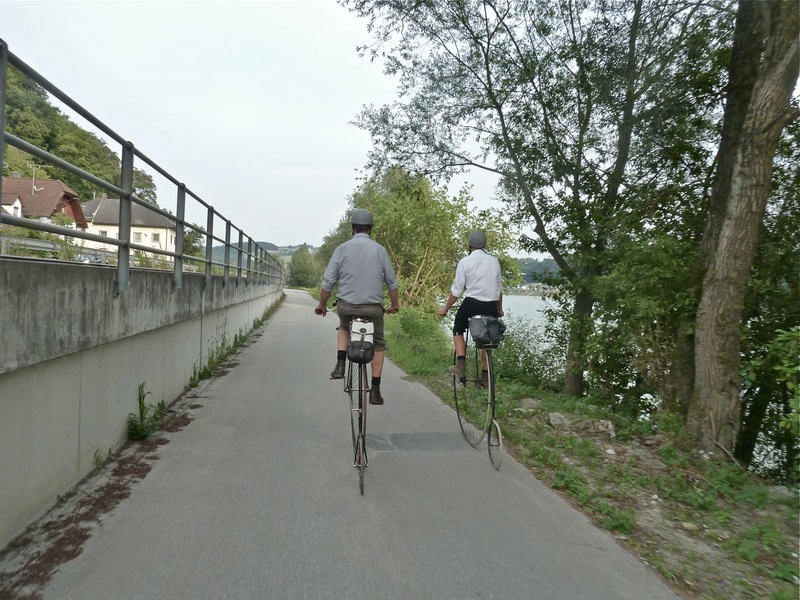 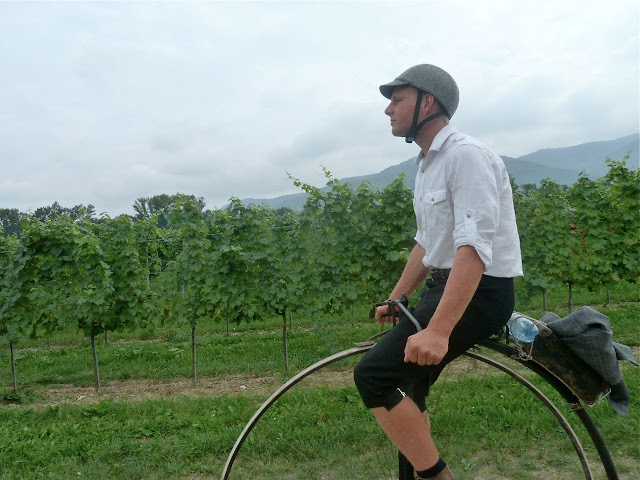 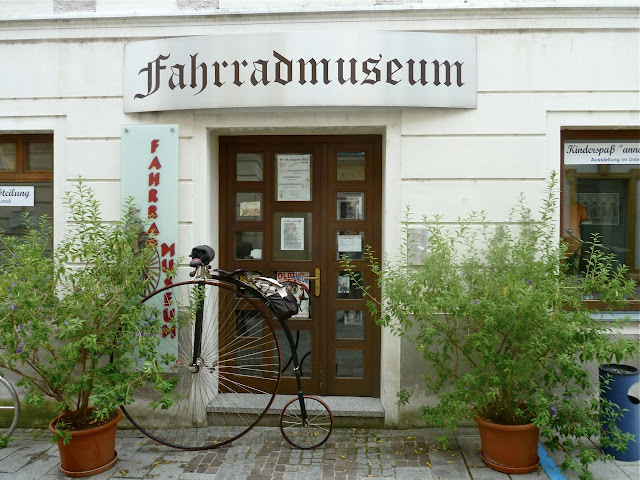 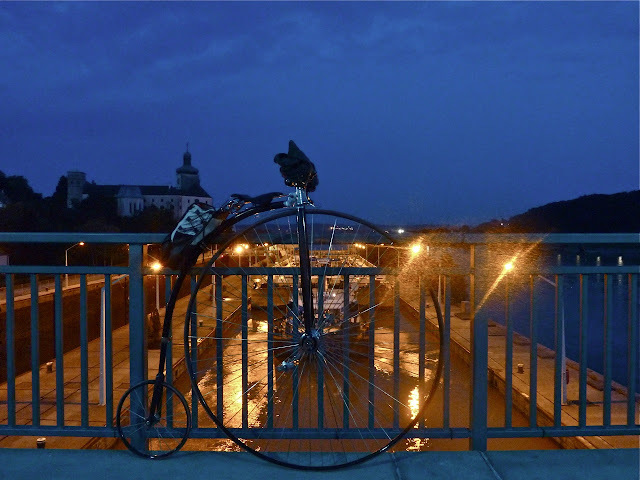 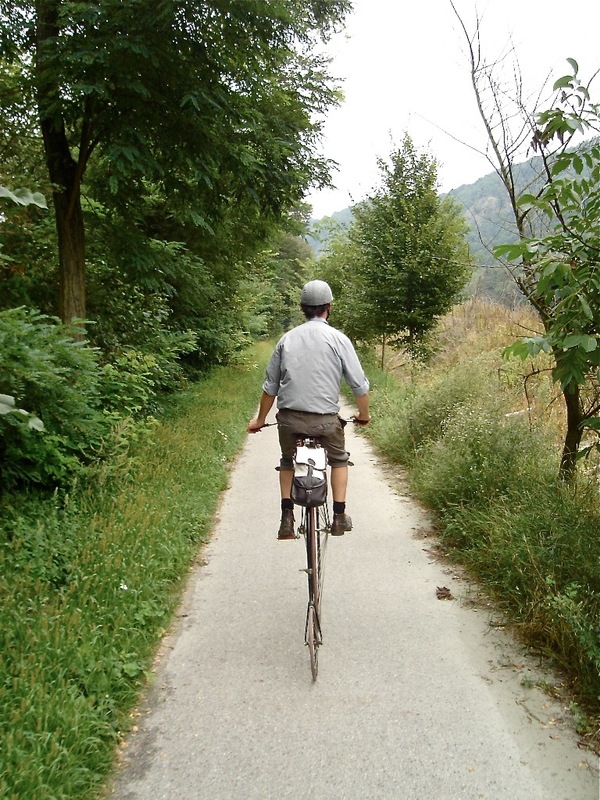 After telling every one how to get up and down from a pennyfarthing and answering another 1000 questions concerning our bikes we could go on in peace and reached Krems at 16.00 and took the train home. Two days, 130 kilometers, very nice people and landscape - the R1 is absolutely recommendable for ordinary bicycle riders. 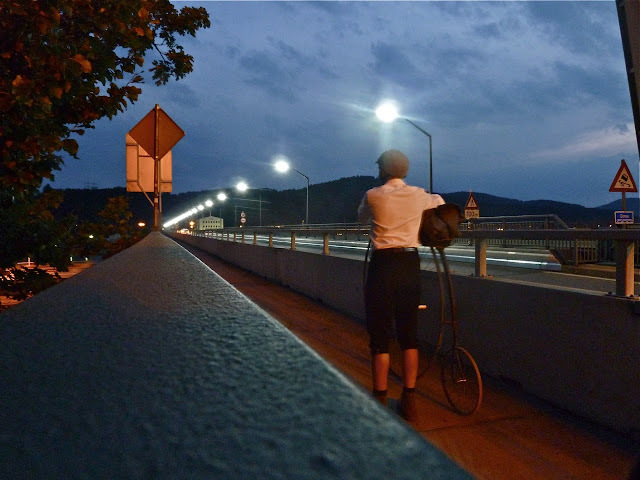 Its getting dark, but Ybbs is not far away.